I do love me a long weekend. However, I do not enjoy the feeling of not really knowing what day it is because it feels like a Monday on a Tuesday. Magic 28 pair #7 knit from yarn that I dyed a darker than normal kind of variegated purple. There may be enough yarn left for a baby hat. They are actually a 32 stitch socks, but don't tell Norma. They are five rows of two by two ribbing. Then a lot of st st and short row heels and tiny little wedge toes. Tomorrow a sock that gave me eye strain for a good part of the weekend! Jeez... could I be more boring? These socks are all 28 stitch socks with a 28 row cuff and foot. They are great movie knitting. 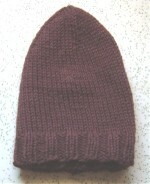 The top pair are made from KnitPicks Palette in Petal... double stranded. 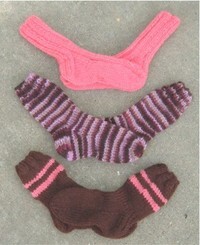 The middle pair are Paton Classic Merino Wool in RoseWood. Love that color-way. The lower pair are Paton Classic Merino Wool in brown with funky looking stripes in the Palette. I need to work with those stripes. 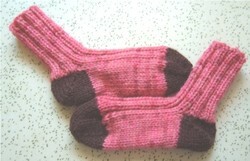 I used US 4 DPNs for these socks and did a two by two rib on the top pair. The others only have the ribbing at the top. I did the first pattern repeat for Kew and didn't like how my tight control freak knitting looked. I frogged, tried to relax and tried it again. Did not go well. 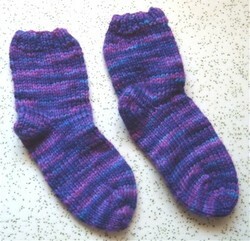 Re-caked the yarn and knit some kid socks. I want to get back to Kew, but I'm not sure if I can. I need to knit more loosely, but not too loosely. Plus I still do my YOs wrong. They work for me, but I'm over-thinking them. I still have a version of the Flower Basket Shawl on the needles. Although, I'm thinking about giving up on that. I'm just not feeling it and don't have enough of the yarn to make a really big shawl. It's times like this that I wish I had someone to knit for. 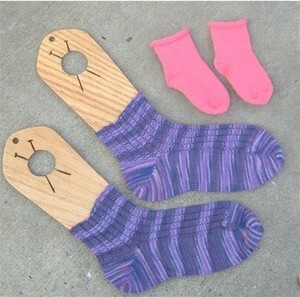 I'm tired of knitting myself socks and I'm just feeling too lost and weird to try anything else.